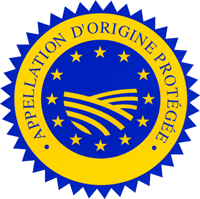 AOP is the french traduction of PDO (Product Designation of Origin). The Designation of Origin is a system that protects a cultural and gastronomic heritage. The system guarantees the productâ€™s origin and uniqueness. It ensures that its production follows strict specifications established through traditional and ancestral know-how.